Since I was driving, I asked Ray to take pictures of the signs...just to prove how 'well' this secret has been kept. My mother, Maxine, was in advertising and often said that one form of getting your name or business recognized was to repeat, repeat, repeat. Even if people get sick of the ad...they remember the name. 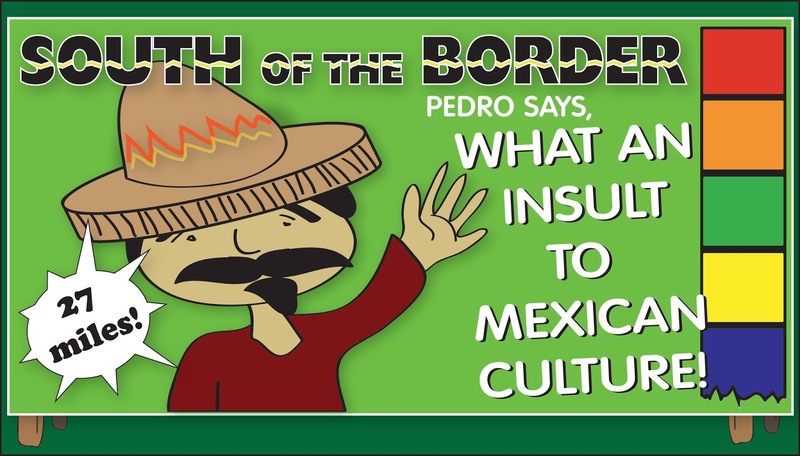 So this is what South of the Border does....but the messages on the signs seem to all be different with funny plays on words. 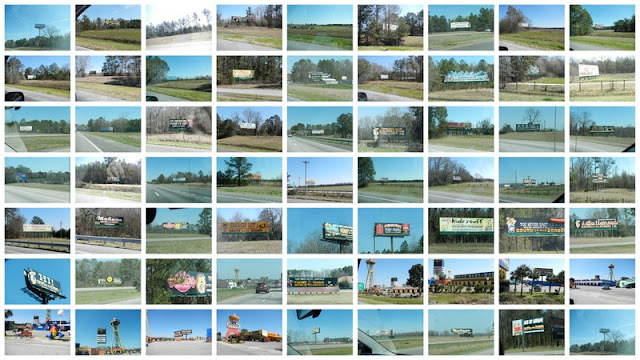 I found (online) that there are over 250 signs scattered along I 95 from New Jersey to South of the Border in Dillon, South Carolina. The closer to SOB the more signs you will see. 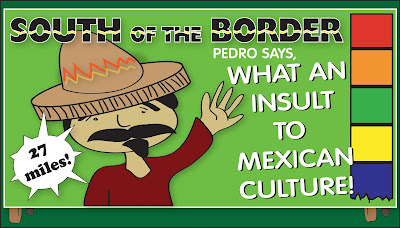 I also read that the signs have been changed and no longer have Mexican-Speak as people thought this was not very respectful to Mexican Culture. I am not sure I have seen those, and am glad the signs have changed. I like this sign. I found this on line and think it gives a clear message as to why the signs have been changed. Ray began snapping pictures, but missed a lot and lamented that many of the pictures were blurred or the signs were hidden by trees or passing cars. What it does show though is that there should be a sign that states: "The Best Worst Kept Secret....South of the Border." Instead of posting each picture that Ray took, I made a collage of them. Wasn't that nice of him to do for me! He could have been reading, but spent three hours capturing these sign photos for me! Thanks, Ray! Now I have a topic for the Slice of Life today. So I'm guessing that you found your camera. What a good guy Ray is! I think they have saturated the roadsides with their "secret." There's no way my husband would ever stop to check it out. I guess their advertising budget was wasted on him. I loved this post and the impact you shared for advertising. Our words really do matter, don't they?